Time for Halloween crafts. 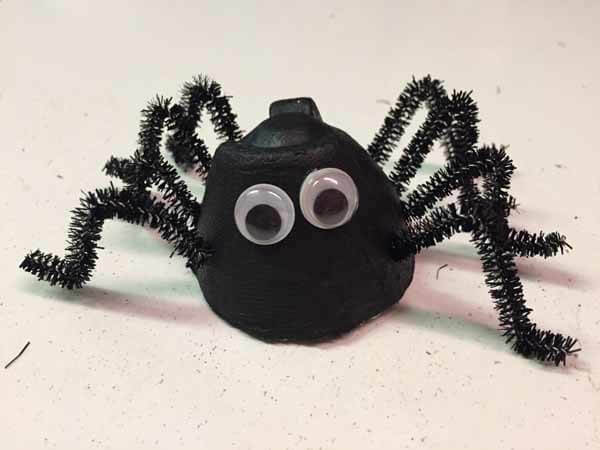 Get kids involved with Halloween decorating by showing them how to make a classic Halloween craft - creepy crawly egg carton spiders. 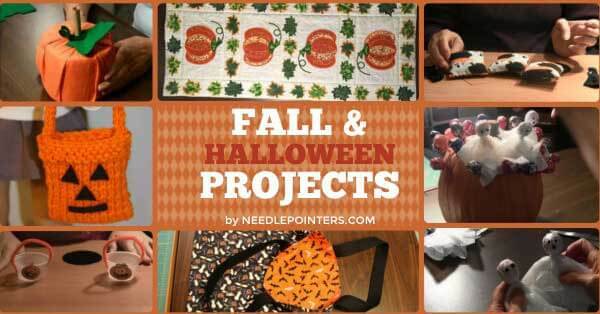 At the end of this article find more cool Halloween do-it-yourself crafts. 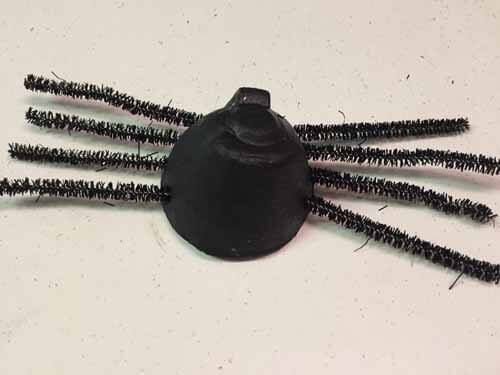 To learn how to make egg carton spiders watch this video tutorial and read on for a step-by-step written photo tutorial. 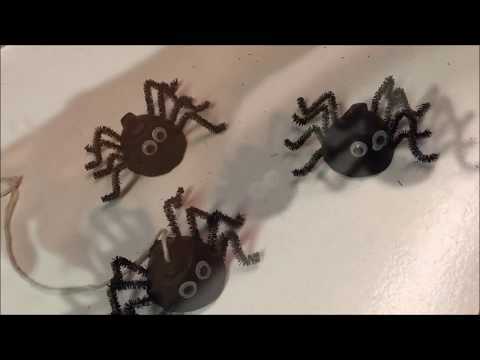 Click to watch the How to Make Halloween Egg Carton Spiders video in Youtube. STEP 1 : Cut an egg cup from a cardboard egg carton. It must be a cardboard egg carton because paint does not adhere to Styrofoam egg cups. 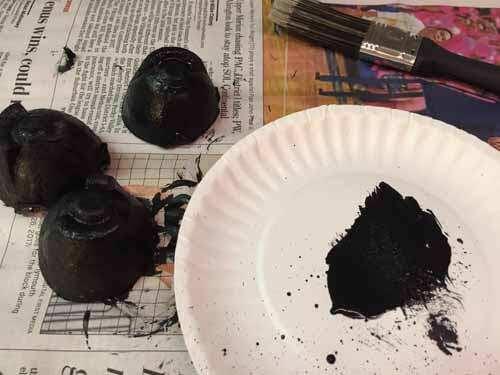 STEP 2: Place egg cup on a piece of newspaper and paint the cup inside and out with black craft paint. Allow to dry thoroughly. 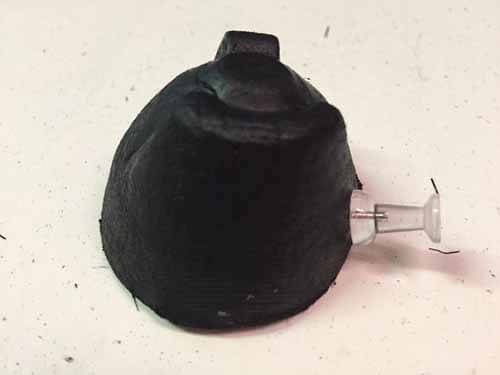 STEP 3: To attach legs, with a paper clip or pushpin poke four holes along the bottom edge of one side. Then poke matching holes on the other side of egg cup. With a pencil or pen enlarge the holes so pipe cleaners will fit into the holes. 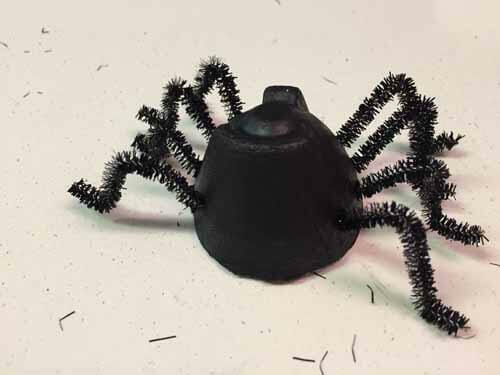 If you want to hang the spider, with a push pin make two small holes in the middle of the top of the egg cup before attaching legs. 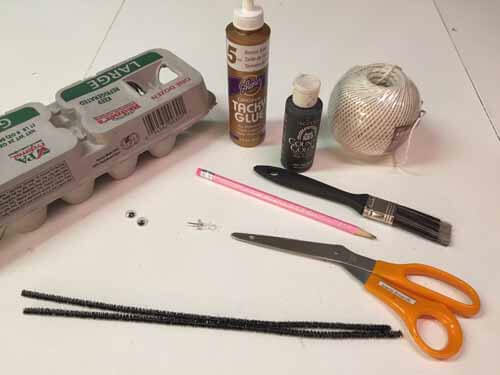 Insert string or yarn into the holes and tie off. 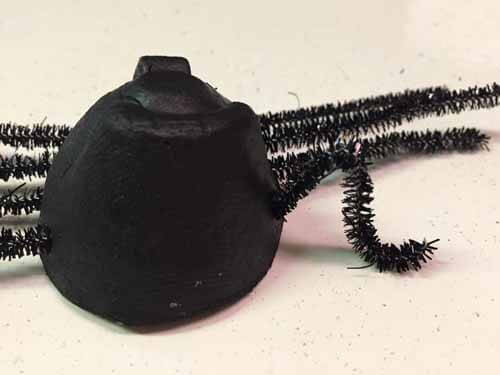 STEP 4: Cut a black pipe cleaner in half. Thread the pipe cleaner through one hole and out the matching hole on the other side. Repeat for other three legs. Make sure the pipe cleaners are equal lengths on both sides. STEP 5: Bend the legs – Bend upward at the base of spider’s body, then fold downward to form the knee and bend tip to make the foot. After bending legs, spider will look as above. STEP 6: Finally, use craft glue to attach googly eyes. Allow glue to dry. 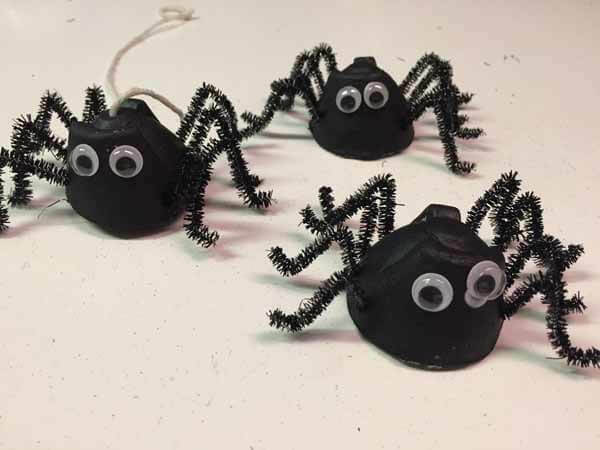 These spiders are a fun, simple craft activity for kids. They make great Halloween decorations: Hang them, sit them around the house, attach them to a wreath or spider web. HAVE FUN WIH THEM!